"... like you spent a summer at the beach, not 3 hours at the salon." 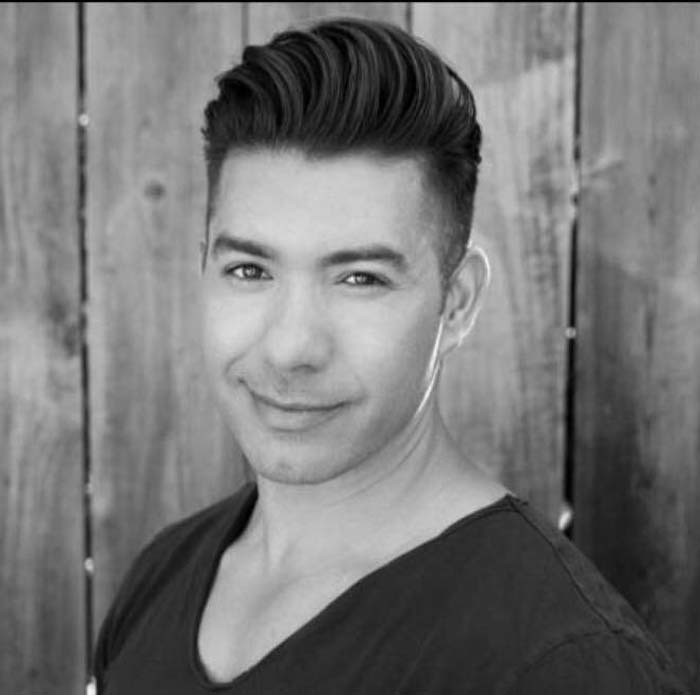 With over 15 years of experience, JORGE SERRANO specializes in color, cutting and styling for men and women. 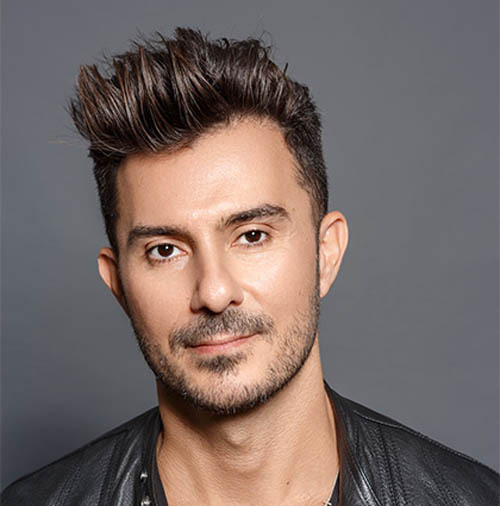 Jorge is renowned for creating looks that are both iconic and innovative, and is famous amongst his clients for his passion, creativity and precision. He brings an unparalleled attention to detail to everything he does, whether it's mixing a custom blend of perfect highlights, crafting an edgy and textured hairstyle for a retro rocker, or creating simply gorgeous hair. Serrano resides in Los Angeles, CA. George Papanikolas is one of the hottest and most sought after Colorists in Hollywood. He is a favorite among young Hollywood Celebrities. His work has been featured in numerous national magazine photo assignments, film projects, music tours, music videos and fashion shows, resulting in a vast and sophisticated portfolio. The in-demand Colorist is available to an international clientele, and divides his time between Los Angeles, at the Andy Lecompte Salon; New York City, at the Rita Hazan Salon; and Dubai at the Belle Femme Salon. George is the Celebrity Stylist for Matrix, makers of the finest professional hair color, hair care and styling products, and is represented for Editorial/Fashion and private direct bookings through The Wall Group. Kelly Rowland, Nicole Scherzinger, Hailey Baldwin and so on. For more information about Georgeâ€™s next visit call us, or visit our social media. ts. He will never allow his patients to look overdone or fake. His philosophy is to enhance each person’s natural appearance in a way that makes them look refreshed and rejuvenated, while avoiding the risks, downtime and costs associated with invasive surgery. Hairstylist, Jennifer Yepez was born and raised in NYC and also spent significant time in her family’s native country of Ecuador. She’s been styling hair professionally since the early age of 18. Since that time she has keyed some notable fashion shows and presentations including Dolce and Gabbana, Celine, Escada, Vera Wang and H&M. She has worked with some of the top fashion publications including Vogue US, Vogue Russia, Interview, Heroine, Antidote, V, Muse, Glamour, Elle Poland, Elle Spain, Marie Claire Latin America, Lucky, Grazia, GQ and Esquire. Her numerous Advertising clients include Versace, Nars, Theory, Nicole Miller, Cacharel and Macy’s. Jennifer has worked with many of the most world renowned fashion photographers including Patrick Demarchelier, Bruce Weber, Fabien Baron, Sebastian Faena, Norman Jean Roy, Walter Chin, Gregory Harris, Robbie Fimmano, Victor Demarchelier, Miguel Reveriego, Daniel Sannwald, Dennis Leupold, Derek Kettela, Nicholas Moore and Pamela Hansen. Her celebrity clients include Salma Hayek, Zendaya, Keira Knightley, Fergie, Gigi Hadid, Bella Hadid, Joan Smalls, Jourdan Dunn, Lily Aldrige and Isabeli Fontana. Jen became the hair ambassador for Honest Beauty launched by Jessica Alba. For more information about Jen’s next visit, please call us or visit our social media. 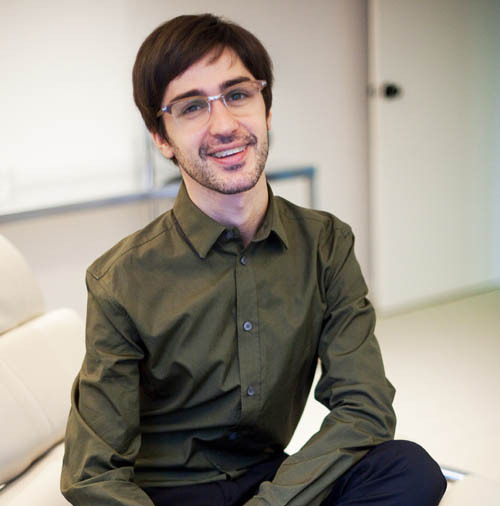 Internationally recognized Trichologist Ricardo Vila Nova brings together cosmetics and medicine whilst using his extensive research and passion for hair and scalp health to provide a truly individual service to all of his clients. Utilizing FDA approved laser treatments and PDA technology Ricardo will carry out a full analysis to identify a range of conditions which could affect the scalp. With each diagnosis a bespoke treatment or course of treatments will be recommended and carried out by Ricardo himself. Tricologist Ricardo Vila Nova focuses on your personal hair and scalp requirements, offering a bespoke and highly sought after service. Based on scientific hair and scalp analysis, Ricardo’s treatments can provide effective cures for hair and scalp problems. Using advanced laser and PDT technology, the team is able to determine underlying causes of hair and scalp conditions and create bespoke solutions to restore and revitalize your hair. Ricardo’s services cover a wide range of hair care and hair restoration needs, creating personalized solutions to help improve hair vitality and revitalization. Ricardo is able to provide solutions and advice on scalp disorders and hair loss. Utilizing laser technology – the most innovative and FDA (Food and Drug Administration) approved method to regenerate hair follicles. His treatments have shown to recover up to 80% of hair loss in patients. Ricardo’s services are available in two of London’s top hair and beauty salons. Urban Retreats flagship location in Harrods offers a high variety of hair and beauty treatments from leading therapists. It is one of the largest salons in the world with 32 beauty rooms and 45 styling stations. And now He is also available in Bahrain at our salon, for more information about his next visit please contact us. 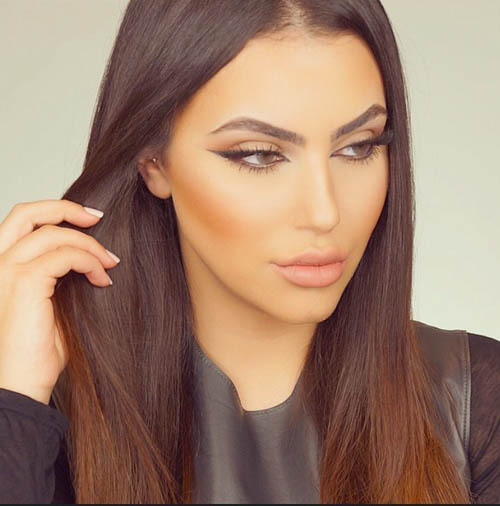 They call her the queen of balayage but you may know her as Nicky Lazou. 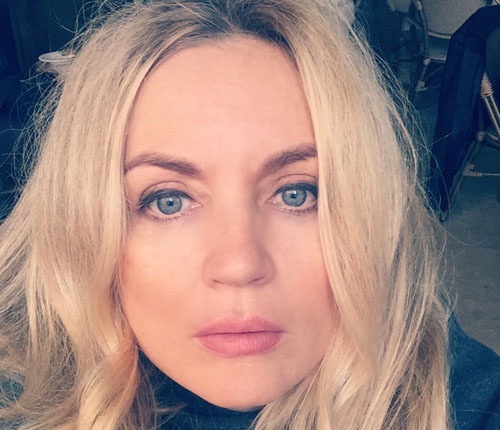 With over 15 years of experience in the hairdressing industry Nicky recently took the internet by storm with her work being the most sought after on social media. Being in such high demand Nicky has now spread her wings into the Middle East, where she now offers her services across Dubai, Kuwait and Bahrain. Whether it’s a cut or treatment you are looking for, or Nicky’s trademark balayage, the service doesn’t stop at Nicky’s door. In her spare time Nicky creates Youtube videos that cover all things hair, which will have you feeling like you have a professional in your living room. She also covers other hobbies which include health, fitness, fashion and travel, so there is something to accommodate every aspect of your well being. You’ll always receive the best services and experience a little bit of magic when left in Nicky’s hands. Having finished the special training course of the Long-Time-Liner® in Berlin, the development of competence and the acquisition of professional experience during 6 years, now I work independently as a linergist® of the Long-Time-Liner®. – Training course and working (license 1+2) by specialty of linergist® in Berlin and Munich. – Staff employee at the Long-Time-Liner® branch in Cannes, France. – Working in capacity of linergist® in different Long-Term-Liner® branches in Majorca, Zurich, Dusseldorf, Hamburg, Cannes Work at fairs: in Berlin, Dusseldorf, Munich, London etc. – Working independently in capacity of linergist® (eyebrows, contour of the upper and lower eyelid, lips, medical pigmentation). Hrush Acheyman is an enthusiast of all things artistic, self-taught makeup artist, entrepreneur and beauty influencer Hrush transformed her hobby of doing makeup in her bedroom into a world renowned empire: Styled by Hrush. 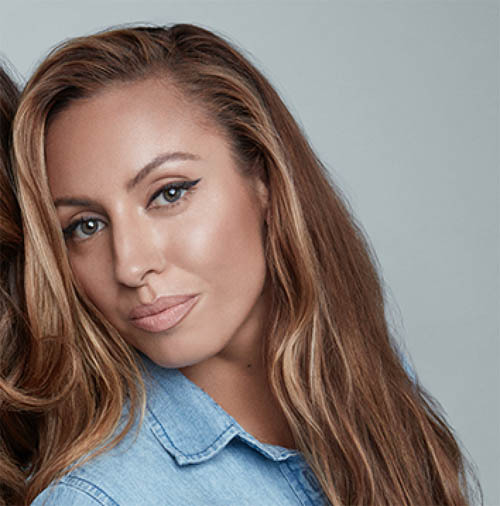 Hrush has had the opportunity to work on some of the world’s most recognized faces, granting her the title Celebrity Artist, clients including Kim Kardashian, Kylie and Kendall Jenner, Khloe Kardashian, Kourtney Kardashian, Giuliana Rancic, Cassie, Leona Lewis, Karrueche Tranand more.